First impressions aren't always accurate. It's a fact that I became acutely aware of close to a year after I met Armaan Ebrahim for the very first time. Our first meeting was in 2008, when I had been strapped into a bright yellow JK Tyre Racing Esteem, the same car that was being used as the safety car for that round of the National Racing Championship, and sent out on track with Armaan behind the wheel. Of course, the purpose of the exercise was for me to be able to get some idea of what the Kari Motor Speedway was like on a quick lap, something drastically different from just a view of the track from the top of the tower. I learned several things that day. One amongst them was when I got to experience practically what had till then only been a theoretical notion - that racecar drivers and us mere mortals have drastically different ideas of braking points. Back then Armaan, terribly quick in a racecar as I was learning, had seemed like an incredibly aloof individual. There is no doubt that he was courteous and polite, but he didn't strike me as the sort of driver one could approach easily for an interview and expect answers to various questions from. It was only a year later, after meeting Armaan several times that I realised that what I had mistaken for aloofness was actually just a hint of reserve and a touch of shyness. "Racing was never planned for me. It was always something I was very interested in and keen on. Like any kid I loved cars," Armaan says. But unlike just any kid who happened to love cars, there was a difference when it came to Ebrahim. It was this - his father was Akbar Ebrahim. One heck of a racer in his own right, and someone thoroughly well-versed in the hows and whys of motor racing. It was no surprise then that when Rotax came down to India in 2003, Armaan tried his hand at it. It was perhaps even less of a surprise that he won the karting round. Luckily for Armaan it was an event at which Asian Formula 2000 winner Wai Leong was present. Once he'd spotted young Ebrahim and decided he seemingly had what it took to be a racecar driver, he took him under his wing. What this meant was a summer of karting in Malaysia, serving as a mechanic for Wai Leong and learning the basics of karting through and through. Over the next few years, Armaan rose through the ranks of single-seater racing rather quickly. From racing go-karts in 2003, to racing Formula Swifts in the National Racing Championship in 2004 (a championship that he won) to racing Formula BMWs in 2005. The rise through the ranks was very quick. "Back then, when I'd become an official BMW driver, the company was still in Formula 1, so we'd get to go to their trackdays and we had a couple of support races for Formula 1." Naturally it was something that would thrill a young driver. Especially given that only three years prior to that, his motorsport journey hadn't really begun. 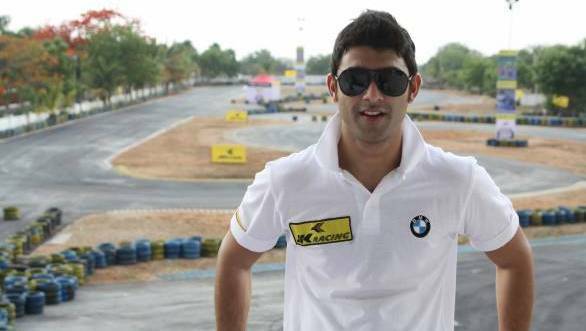 2007, then, was Armaan's most successful season as an international racecar driver, given that he came second in the Formula Renault V6 Asia Championship. But there was a bigger jump that had also been made, from 150PS cars to 550PS racecars that were competing in A1 GP, when he was signed on as the team's rookie driver. It was a steep learning curve. "I was driving against guys like Jos Verstappen, Piquet Junior, and guys like that who had a lot of credentials. We ended up finishing 11th in Malaysia which was my best finish. Ex-DTM champion Timo Schieder finished behind me at that race," Ebrahim says with a grin on his face. But occasions to smile about race results after that wouldn't come quite so often. Especially after he made the move to GP2 Asia. "By the time I managed to get my head around the car, in a series in which the likes of Romain Grosjean were driving, the championship was over." But for Armaan, it wasn't just the fact that he'd progressed perhaps a little too quickly through the rungs of single seater racing. There was also that terrible woe that plagues every Indian racecar driver - money. Motorsport is expensive. A fact that there's simply no getting away from. And every time any conversion is made from Euros to Indian Rupees, the figures are the sort that will make your jaw hit the ground with a resounding thud, teeth falling out, et al. Three years in Formula 2 saw Ebrahim finish 17th, 10th and 15th in the championship. Which wasn't the ideal result, but the best that was possible at that time. An attempt to compete in Indy Lights in 2012 didn't really help much. And then, the single seater dream got put on hold. "With single seaters year after year you need to find bigger and bigger budgets," Armaan says. Which means the switch to GT cars was inevitable. Like he says "If you can prove yourself as a driver in GT cars, you might actually have a future in racing." 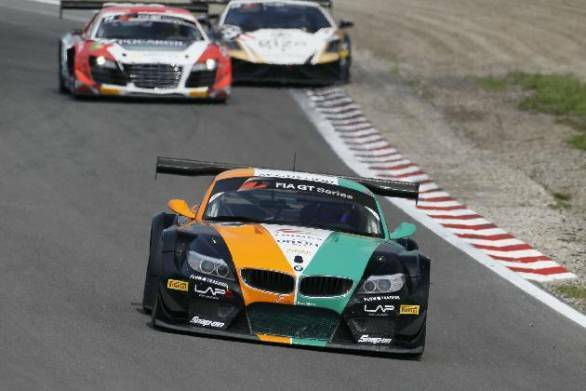 And so, after a couple of outings in the FIA GT1 championship in 2012, Armaan finds himself a full time driver with the BMW Sports Trophy Team India. Of course, adapting to driving GT cars hasn't been the easiest. "It's very different. The bhp may be the same, or just a little less, but the cars are heavier, there's a lot more roll, there's a lot less aero. You can't brake into the corner. There's ABS, traction control. You have to get used to the car moving around. The driving style is very different." Add to that the fact that you need to strike a balance that's right for not just you, but for your team-mate as well, and the changes are even more drastic. "In single seaters you're always being selfish. Never share anything, always keeping things to ourselves," Ebrahim laughs. Is the single seater dream dead, then? "If someone offered me a single seater to driver I would take it with both hands," he says with another grin on his face. Spoken like a proper racecar driver, then. A race series you'd like to take part in someday: WEC, DTM. The race machine you'd love to get your hands on: There are too many of them! !An LMP1, DTM and of course at least test a Formula 1 car. Favourite racetrack: Autopolis (Japan), Brands Hatch. Your biggest racing opponent: My team mate. Even if it's a different one every race, it's most important to be quicker than a driver who is in the same car or team. The best overtaking manoeuvre you've ever seen on track (something that has happened when you were racing): The best move I've seen while driving is a bit tough to say, but for me the craziest was during Indy Lights at the Indianapolis Speedway. We were three abreast and the fourth car got such a good tow that he passed all three from the outside through Turn 1. The best overtaking manoeuvre you've seen in general (TV, YouTube videos etc): MotoGP round at Barcelona, I think in 2009. The whole lap between Rossi and Lorenzo was mega! Best overtaking manoeuvre you have made: I think the best I've made was at Monza 2010 in Formula 2. Charging through field because of a problem in qualifying I went past two cars around the outside into and through the parabolica, and another one down the straight into the first corner. Your best race till date: Probably the same race as above. I went from 16th to 5th in 20 laps and just loved the feeling of chasing down and passing everyone. Your worst race till date: GP2 Asia round in Sepang 2008. Wasn't happy with the way I drove in the 2nd race.